Book review: Bain Attwood's The Good Country | Daily Review: Film, stage and music reviews, interviews and more. A few years back Mt Alexander Shire council in Central Victoria sent a letter to residents, seeking input into the choice of name for a little road created to give access to a bush block. It was a nice letter, worthily suggesting that residents’ opinions mattered and would be taken in to account. Bloke next door on our dirt road chucked his away; waste of time, he reckoned, council weren’t really interested in what we thought, but at our place, we sent in a suggestion (a local plant name). It turned out bloke next door was right. Nothing happened for a while, but when the sign went up, it commemorated one of the misguided German immigrants who, post goldrush, had tried to plant vineyards in the clay soil alongside the seasonal creeks. This is the same council who reckon they are acknowledging the Dja Dja Wurrung – who were almost wiped out by settlement – by renaming a bit of the old Calder Highway “Harmony Way”. They did this, apparently, in honour of Henry “Harmony” Nelson, born in 1855, “removed” from the area along with most of the clan, but whose family is still connected to their traditional lands. The book is absorbing reading, particularly for those hooked on this kind of history, a hybrid form that carefully borrows from many kinds of storytelling. As now seems de rigueur for councils, much surveying and opinion-seeking was conducted before the Harmony nomenclature was finally settled on, and there was some dissent about the appropriateness of even this very un-indigenous-sounding name. In Mt Alexander shire, home to many an artist and socially-progressive retiree, there does appear still to be resistance to Dja Dja Wurrung native title, despite the landmark agreement in March 2013. Bigger Bendigo, half an hour up the Calder and the base for the Dja Dja Wurrung Clans Aboriginal Corporation, is scrupulous in its acknowledgement protocols, but at the opening of Bendigo Writers Festival a couple of years back, a visiting Sydney journalist was keen to tell me, with a sigh, that we should drop Welcome to Country. “All that stuff has had its day,” he said, “no one does it any more”. If that Sydney journalist were to read Bain Attwood’s new book, The Good Country, he might be reminded of what “sharing history” means and why it’s not just worthy but deeply important. 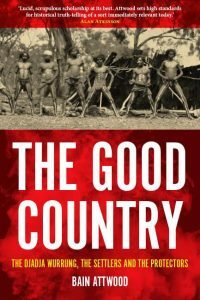 The Good Country is a history of the Dja Dja Wurrung’s interaction with settlers and the man appointed as deputy protector in the Central Victorian region, Edward Parker. It is mostly through the records kept by Parker in the 1840s that we have some access to what it must have been like for the Dja Dja Wurrung. Once you have this broad picture of, first, the Aboriginal nations’ territory, then the overlay of the settlers’ claims, you begin to see the land differently. The book is absorbing reading, particularly for those hooked on this kind of history, a hybrid form that carefully borrows from many kinds of storytelling and that Tom Griffiths, in his recent The Art of Time Travel, explains so beautifully. Almost every page of Attwood’s book footnotes his source, so, as you read about the encounters, the development of conflicts, the arrival of the protectorate and the diminishing presence of the Dja Dja Wurrung people on their land, beneath the text, figuratively and literally, there are the records of the voices of those who were there. How to hear the “mediated” voices of the Dja Dja Wurrung themselves is a task that gives this text and others like it an exquisite delicacy and humility – nice attributes in an era of thoughtlessly crude opinion-shouting. And once you have this broad picture of, first, the Aboriginal nations’ territory, then the overlay of the settlers’ claims, you begin to see the land differently. Smeaton, north of Ballarat, with its squat ugly statue of John Hepburn who is also commemorated in the nearby touristy Hepburn Springs, was originally Smeaton Hills pastoral run. It bordered on the Loddon Protectorate set up by Parker, although you’d not discover that on any plaque in this history-proud tiny town. At Franklinford, where Parker established the Larrnebarramul settlement and built a school for the Dja Dja Wurrung, there’s a plaque on a cairn in memory of Parker’s service but that’s pretty much it. The book builds the story of these fateful years to the point where most of the remaining Dja Dja Wurrung were removed to Coranderrk near Healesville, while Parker stays on with his wife and children, along with a couple of families who try to make a go of the Larrnebarramul settlement. 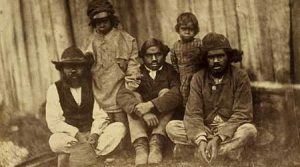 The demand for Aboriginal rights and the state’s response have led, Bain Attwood writes, “to a certain kind of history being produced so that both parties are able to realise their various economic, cultural and political goals”. But then, a coda, that brings us up to date with Dja Dja Wurrung history – and helps us understand why Greater Bendigo council continues to mark acknowledgement of country. Attwood’s “Epilogue” summarises the formal agreement between the Victorian government and the Dja Dja Wurrung Clans Aboriginal Corporation, then picks up that story from 2013 to talk about what it has meant not just for the people, but for historians. The demand for Aboriginal rights and the state’s response have led, Attwood writes, “to a certain kind of history being produced so that both parties are able to realise their various economic, cultural and political goals”. Simply and clearly, Attwood reminds us that history is always told from a particular point of view, and for particular reasons. It is also, he says, not always “rational” or “factual” in traditional ways, once we accept the discourse of those who, in the past, were “assigned an inferior position”. He outlines the debate about how we should “adjudicate between competing claims in public life”, and finishes by describing the difference between “shared histories” and “sharing histories”. 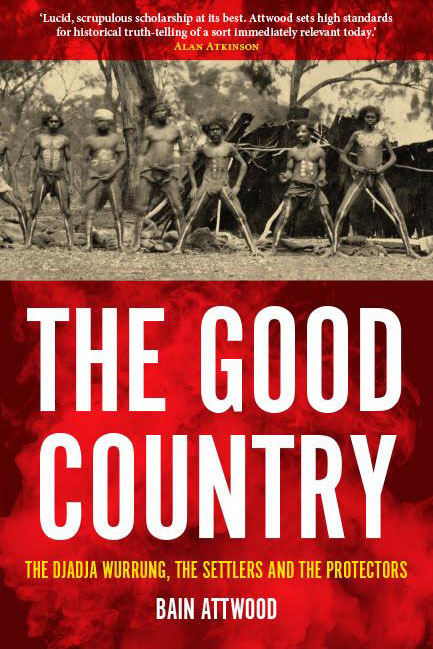 The Good Country by Bain Attwood, published by Monash University Publishing, will be launched on Friday 24 November in Castlemaine by Rodney Carter, CEO of the Dja Dja Wurrung Clans Aboriginal Corporation. Thank you Rosemary. You have just given me some direction I’m looking for (now, in early 2019). My husband and I (50 yrs together) do not know where we ‘fit’ in this whole debate. I was brought up still bearing the shame of being of convict descent, and Mark had only an inkling of his heritage via his English cousins. I am one of the direct descendants of Thomas Bock the convict artist (whose aboriginal portraits are used as icons ‘all over the place’) and Mark ‘just’ remembers his ‘Aunty Kathleen’ who accompanied her father AC Haddon anthropologist through the Torres Strait and Murray Island etc. Our families were always considered the bad guys until not so long ago when we were recognised for a few years and we came out of our shells. We’ve spent a few good years being proud of our ancestors and our heritage. However, it’s now time to withdraw, stay silent, and walk with our heads held high in the footsteps of our ancestors.